Legaginney National School was situated near the site of the present hall – a few hundred yards from St. Micheals Church Potahee. The school closed on August 4th 1950. 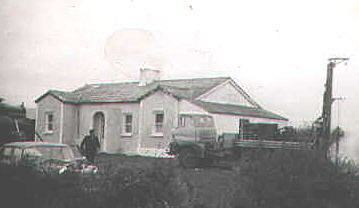 The stones and other materials including the slates from the school were used to build the Mulligan family home which is situated near the present Scoil Mhuire National School and is pictured above. 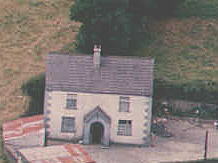 Drumbrade National School was situated near the railway bridge in the townland of Drumbrade. This school also closed on August 4th 1950. The building was renovated and is now the home of the Tierney Family. Wateraughey School was situated in the town land of Wateraughey – near Losset Creamery. The school closed on September 19th 1971. The building was purchased and renovated for use by the Fisheries Board.